Now that I named my daughter “Dahlia,” I see dahlias everywhere. In the hidden corners of photos. Tucked between roses and gerber daisies at the farmers market. Even among the kitchen items at Bed, Bath & Beyond, where they’re marketing “dahlia” bowl covers to keep food fresh (has anyone tried these? They seem very strange.). Jacque’s caught the dahlia bug, too. Just the other day, she texted me a photo of a gorgeous, blossoming coral dahlia she spotted in her neighborhood. And on a recent work trip, she paid a 7:30AM visit to Seattle’s famous Dahlia Bakery in honor of my little babe. You can read about the gooey, cheesy egg sandwiches and decadent coconut pies she indulged in here. 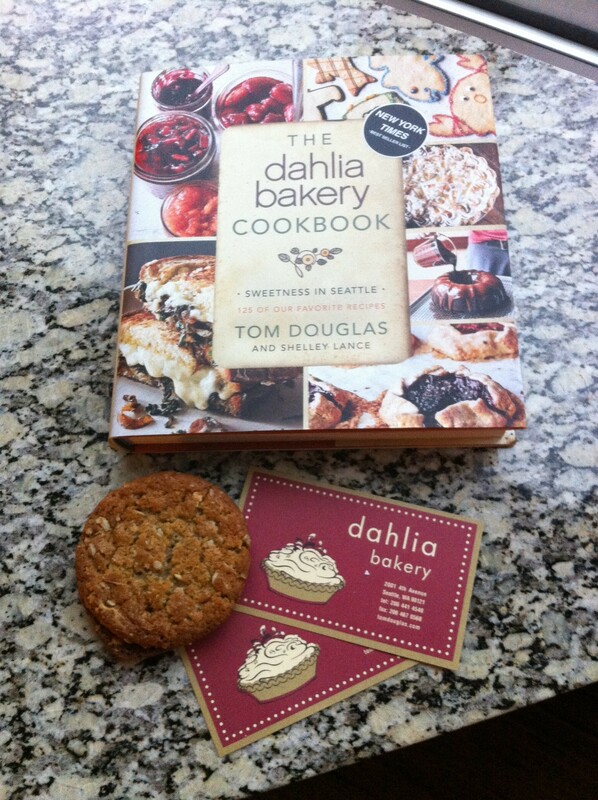 But most importantly, she came home toting a signed copy of the Dahlia Bakery Cookbook for me! 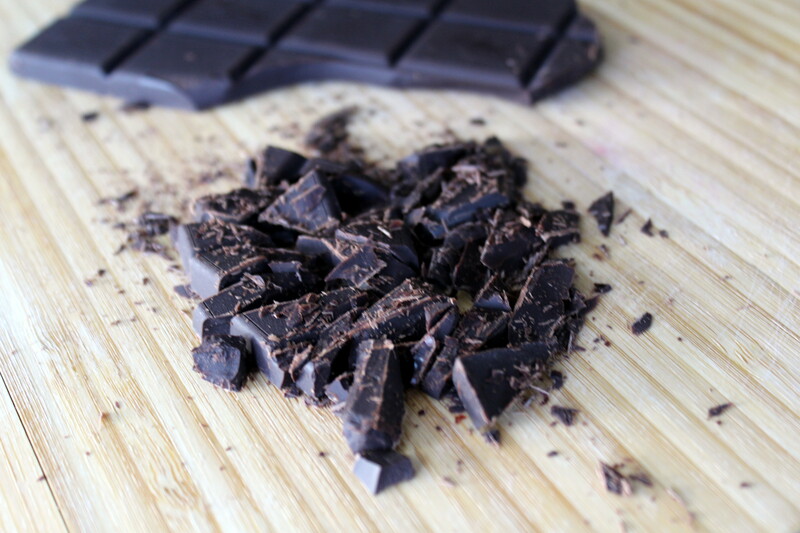 Note: For the chocolate chunks, feel free to use any bar of chocolate you have lying around. Just place it on a cutting board and use a large knife to cut it into chunks yourself (see photo below recipe). 1. Preheat oven to 350 degrees. Spray loaf pan with cooking spray, then lightly flour the pan. Place in fridge to set the coating. 2. 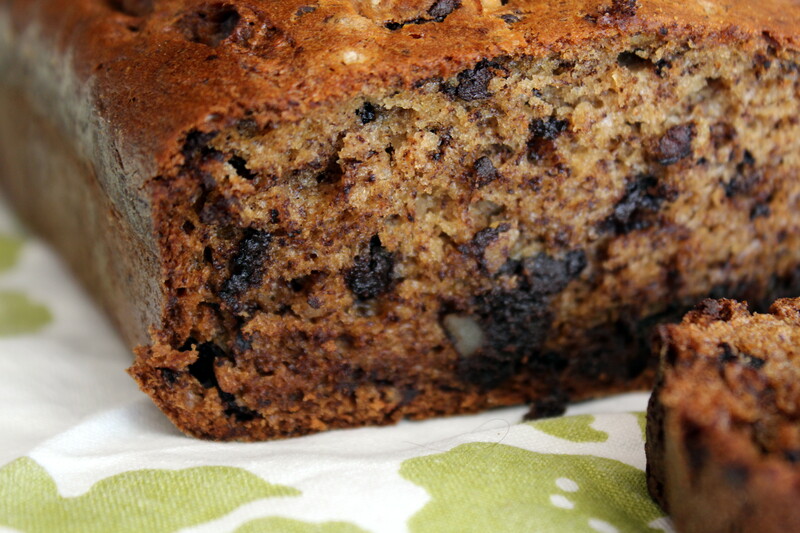 Place the walnuts and chocolate chunks in a small bowl and set aside. 3. Sift the remaining 1 cup plus 2 tablespoons of flour and the baking soda in a bowl. Stir in the salt and set aside. 4. Place bananas in the bowl of an electric mixer and puree until smooth. Pour the banana puree into a measuring cup, then place 1 cup of it back into the mixer. Mix in oil, sugar, egg and yogurt until everything is combined. 5. Add in the dry ingredients and mix until combined. Stir in the chocolate chunks and walnuts using a large spoon (so by hand). 6. Pour the batter into the prepared pan. Sprinkle bread with desired amount of sea salt. 7. 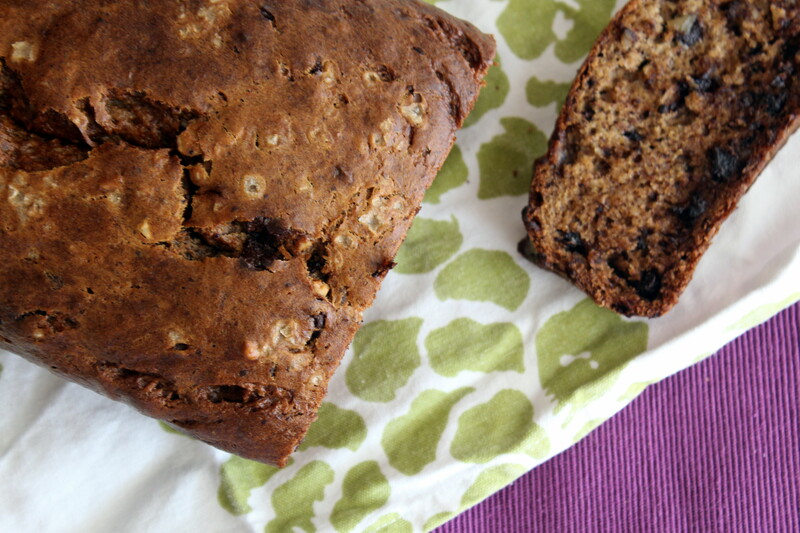 Bake for an hour until a toothpick comes out with just a few moist crumbs. Try not to open the oven to check on it until at least after 45 minutes so that the bread can rise undisturbed. Allow pan to cool for 15 minutes before serving. 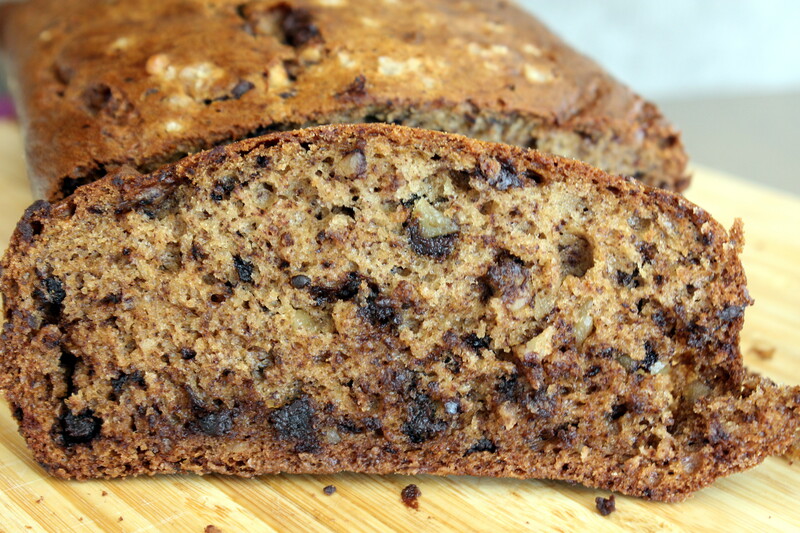 This entry was posted on September 12, 2014 by mezzeanddolce in Breads, Cakes, Dolce, West and tagged banana, chocolate, walnut.